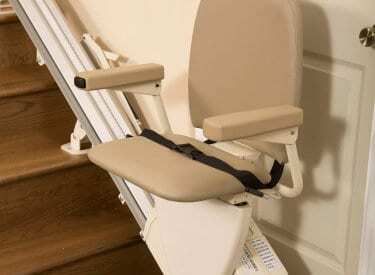 Make stairs a fear of the past with a Senior Safe stairlift. WHY INSTALL A SENIOR SAFE STAIRLIFT? You deserve to feel safe navigating the stairs in your own home, and you also shouldn’t have to sacrifice aesthetic for safety. 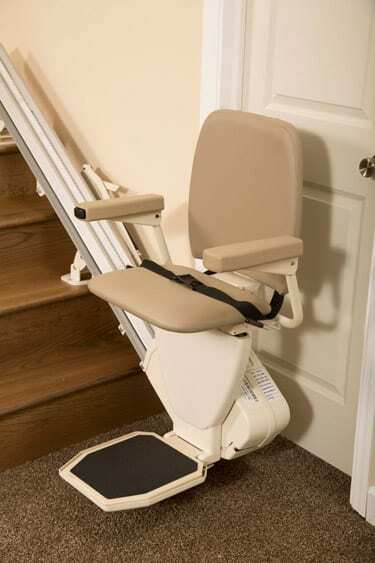 With a stairlift from Senior Safe Solutions, you can have both style and safety in your home! ✓ You have fallen on the stairs or elsewhere in the home. ✓ You are afraid when you are on the stairs. ✓ You have pain when you go up and down stairs. ✓ You are planning your trips up and down the stairs. ✓ You have to stop, rest or sit down on the stairs. ✓ It takes a long time to use the steps. Our stair lifts fold conveniently out of the way when not in use and feature a wide seat that swivels for easy access. Safety sensors provide added piece of mind for the user and loved ones alike. ✓ Made in the USA. At Senior Safe Solutions, your safety and comfort is our top priority, which is why we handle installations and maintenance with the utmost urgency. We’re able to install your new stairlift in just one day—thanks to our expert, local team. Plus, we’re just a quick drive away if you need repairs on your stairlift. support, were just a phone call away. Have questions about our stairlifts? We’d be happy to answer them for you! *Harmar warrants to the original purchaser of an SL600 Series Pinnacle Stair Lift manufactured by Harmar to be free from material and mechanical defects in the motor, gearbox, rail, worm gear and gear rack for the Lifetime of the product with its original owner.